Tom and I are looking forward to enjoying a snowy Thanksgiving day with our family. Candles that were given to us by my Aunt Bea and Uncle Bob at least 20 years ago. 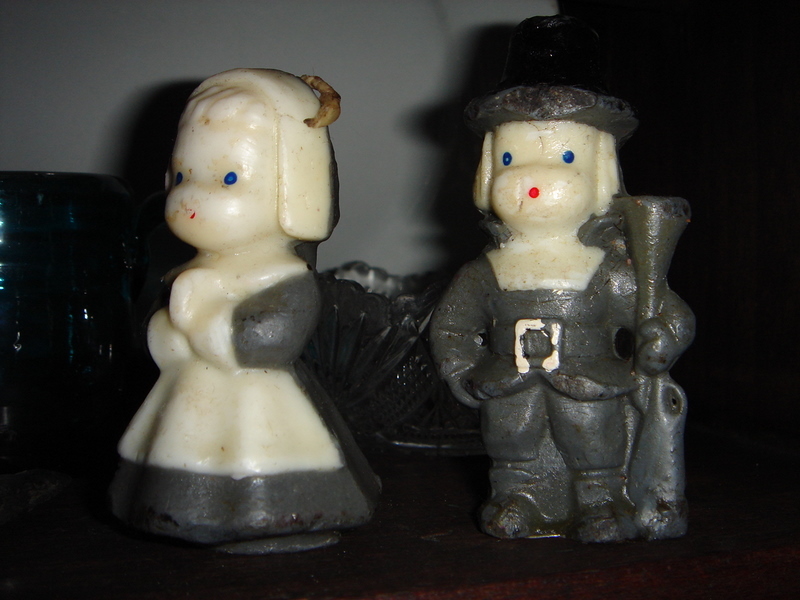 They used them on their Thanksgiving table in the early 1950's!